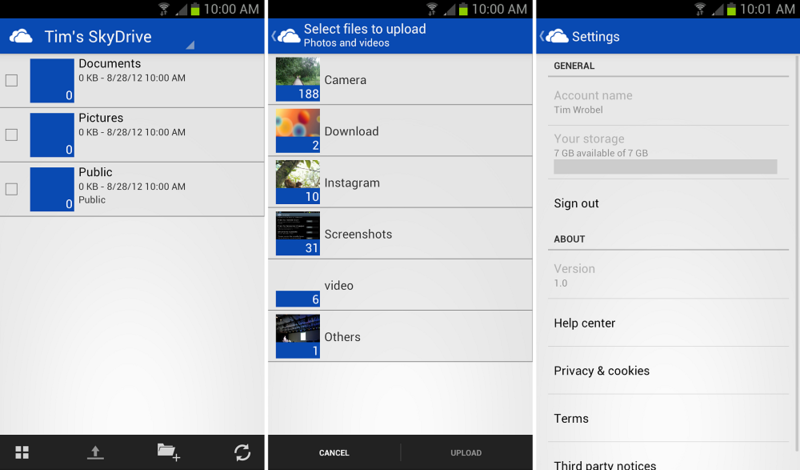 Starting right meow, Microsoft’s official SkyDrive application is available on Google Play for Android devices. If you’re unfamiliar with SkyDrive, think of it as Dropbox or Box, but made by Microsoft. Once signed in to your Microsoft account, you’ll be given access to 7GB of cloud storage and it also allows for instant upload for easy access of files on multiple devices or computers. It’s the first day of release, so we’re going to hang in there until Microsoft pushes out some other features that will make it more desirable.